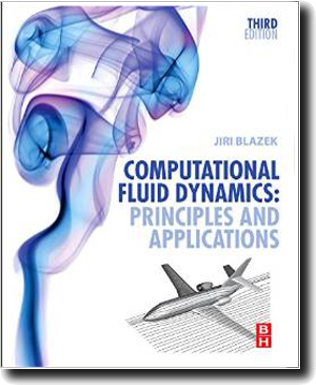 The objective of this extended and updated edition is to provide university students with a solid foundation for understanding the numerical methods employed in today's CFD and to familiarize them with modern CFD codes by hands-on experience. 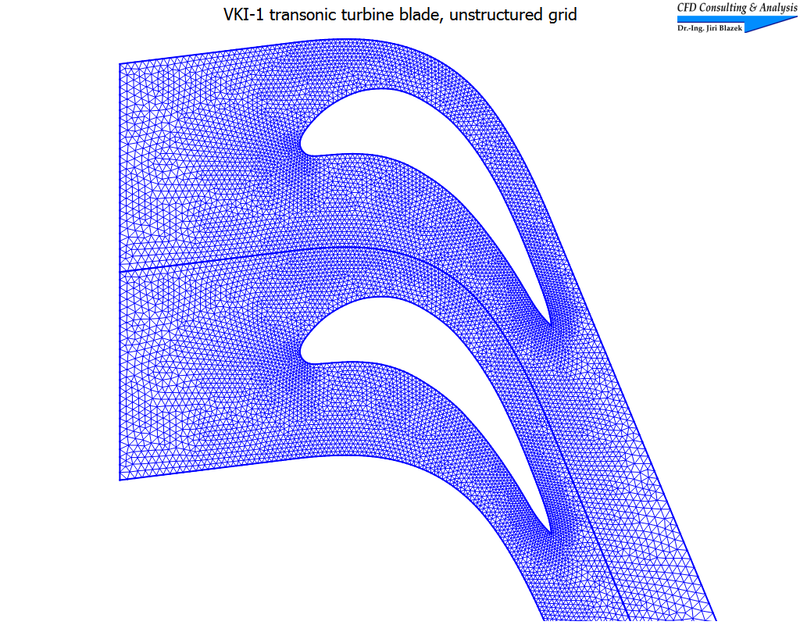 It is also intended for engineers and scientists starting to work in the field of numerical flow simulation, as well as for those who develop or who apply CFD codes. Due to the detailed index, the text is well suited as a reference handbook too. Each chapter includes an extensive bibliography, which provides an excellent basis for further studies. 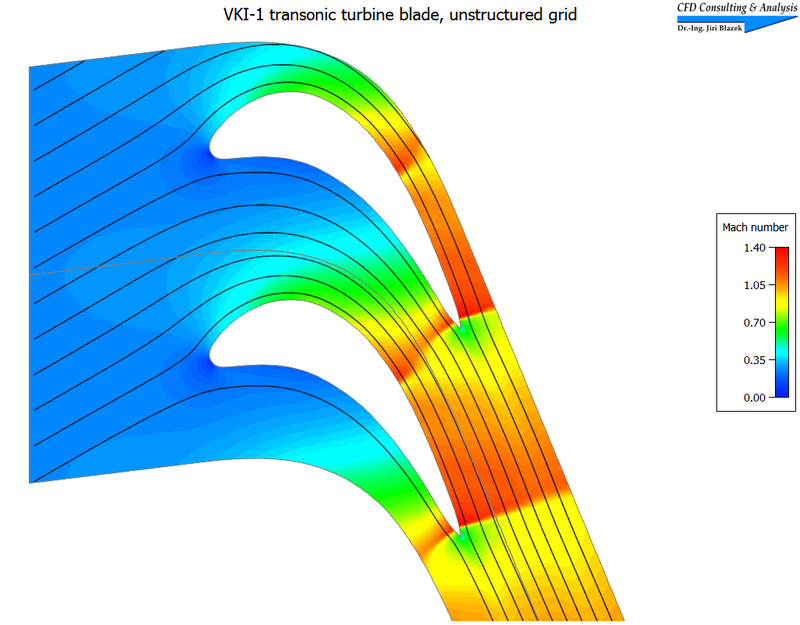 A companion website contains the sources of 1-D and 2-D Euler and Navier-Stokes flow solvers (structured and unstructured), as well as of grid generators, along with tools for Von Neumann stability analysis of 1-D model equations and examples of various parallelization techniques. The programs are written in Fortran and in C++ and are well documented. 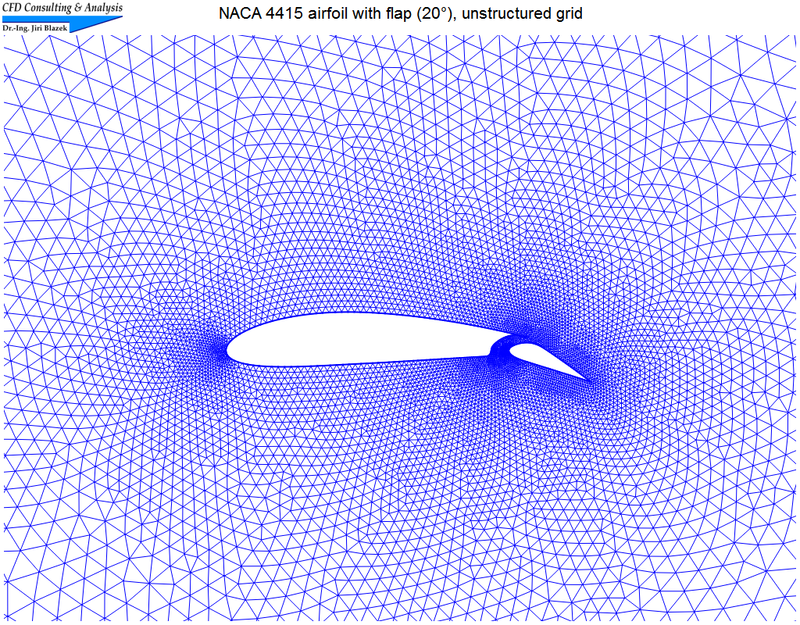 Although being kept reasonably simple, the 2-D flow solvers are capable of treating a large variety of flow problems, ranging from nearly incompressible to hypersonic and from airfoils over cascades to solid rocket engines. Several examples can be seen here. For ordering information, see at the bottom of this page. List of corrections to the text and updates to the example codes are provided on the next page. To contact the author, please write to: info@cfd-ca.de. See also the website with the source codes at Elsevier Science. The book can be conveniently ordered there as well. 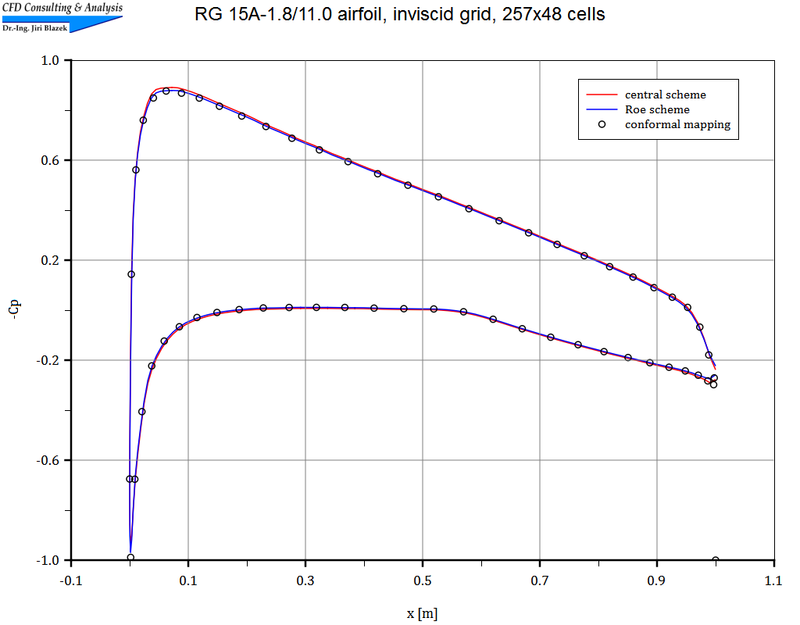 The nearly incompressible flow (Mach=0.01, α=2°) was simulated on a structured grid (C-type) with 257x48 cells using the central, as well as Roe's upwind scheme. 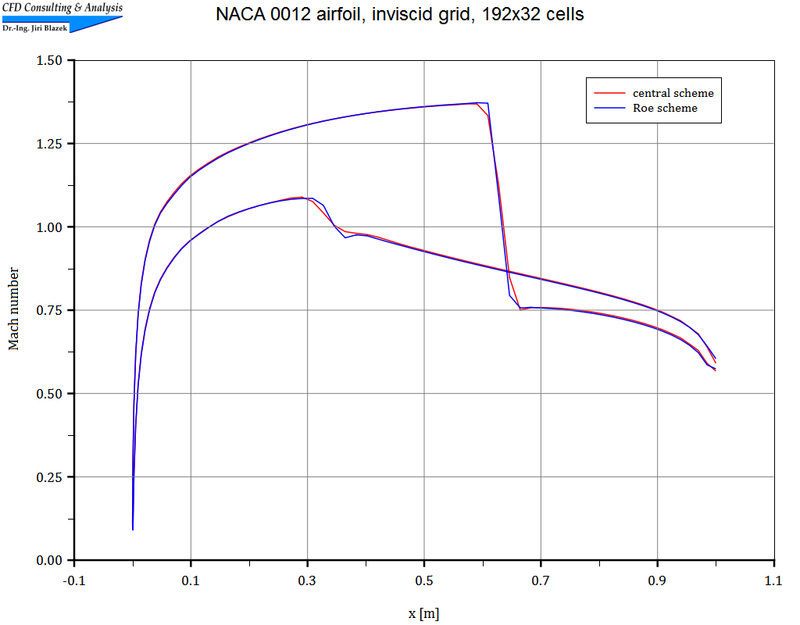 The pictures show a part of the grid, contours of the total velocity, and a comparison of the pressure coefficients. 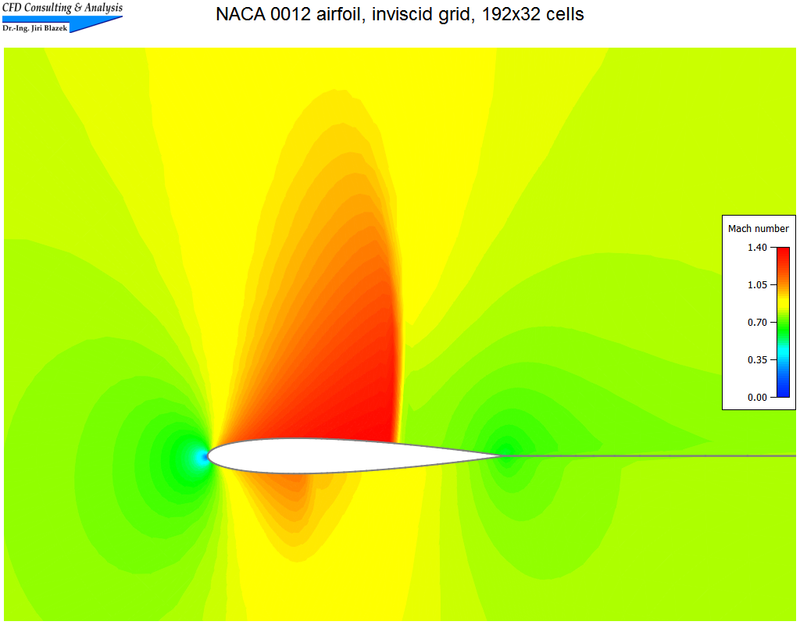 The transonic flow (Mach=0.8, α=1.2°) was simulated on a structured grid (C-type) with 192x32 cells using both the central scheme and Roe's upwind scheme. 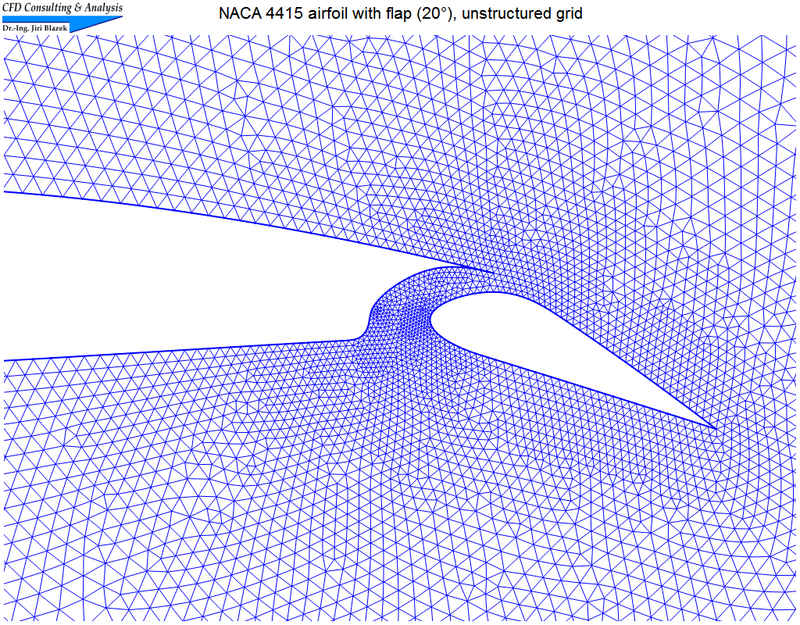 The pictures show a part of the grid, contours of the Mach number, and a comparison of Mach-number distributions. 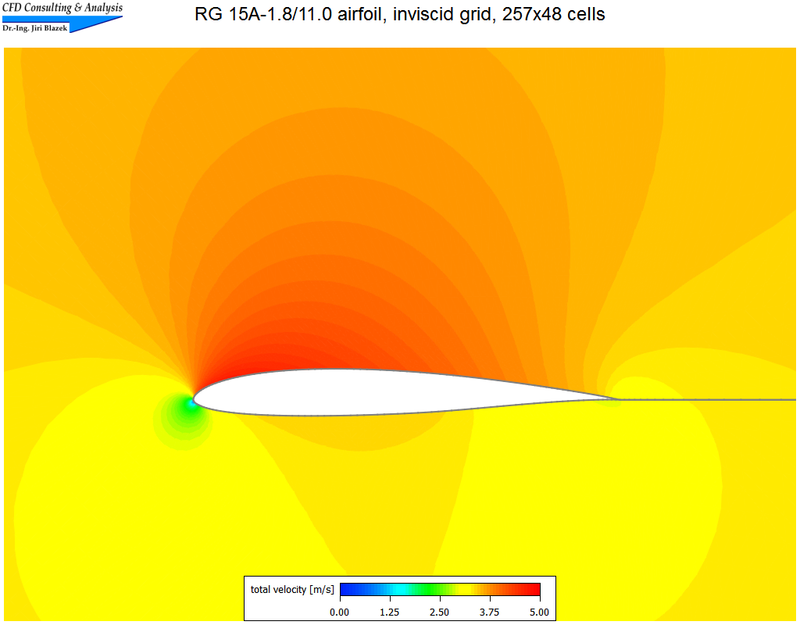 The flow inside the cascade was simulated on an unstructured triangular grid with 10'371 elements using Roe's upwind scheme. 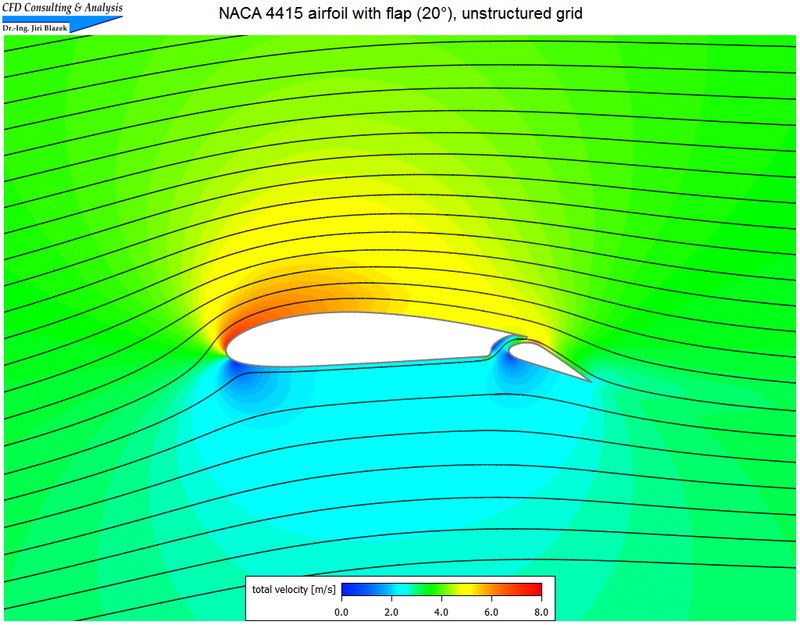 The pictures show a view of two grids joined at the periodic boundaries, as well as Mach contours overlaid by streamlines. 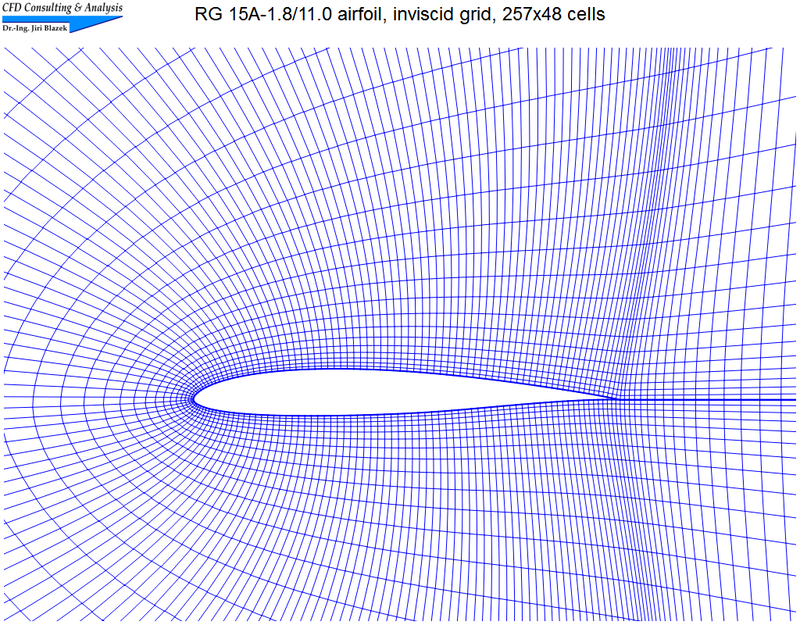 The nearly incompressible flow (Mach=0.01, α=5°) was simulated on an unstructured triangular grid with 20'413 elements using Roe's upwind scheme. The pictures show parts of the grid and contours of the total velocity overlaid by streamlines. 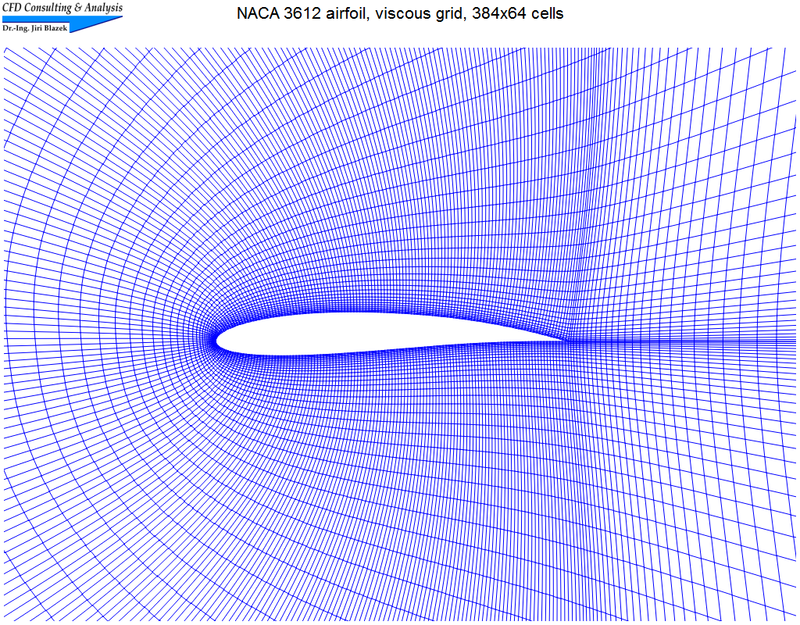 The unsteady flow (Mach=0.2, α=30°) was simulated on a structured grid (C-type) with 384x64 cells using Roe's upwind scheme. 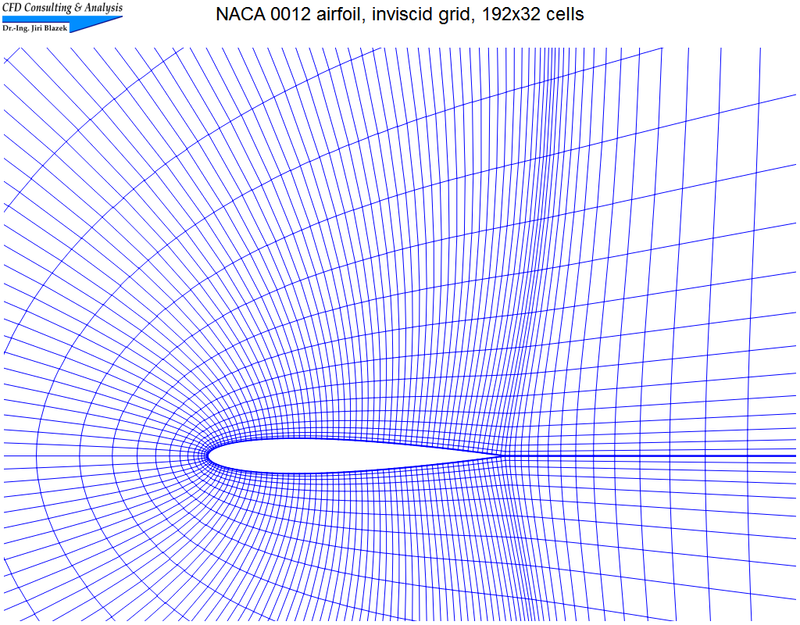 The picture shows part of the grid, the video displays velocity vectors colored by the velocity magnitude. © 2011-2019, CFD Consulting & Analysis. All rights reserved.